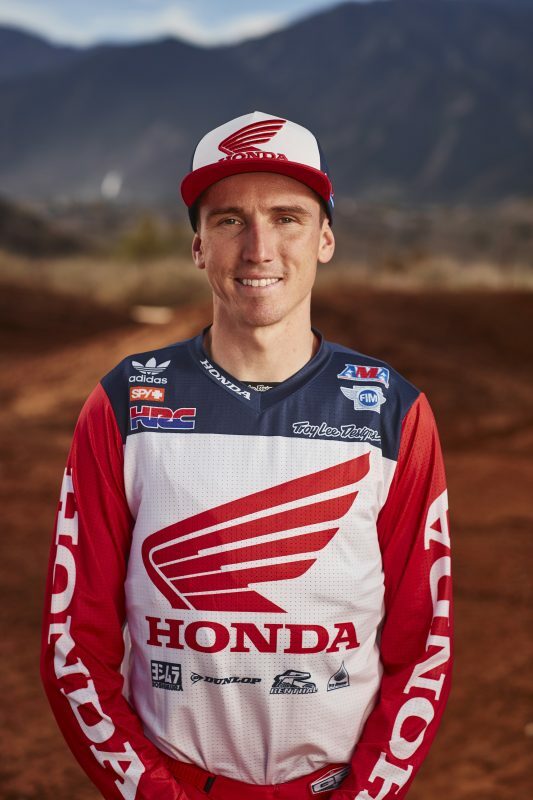 With Trey Canard sidelined due to an injury sustained in a practice crash last week, Cole Seely was the sole Team Honda HRC rider for round four of the AMA Pro Motocross series at High Point Raceway in Mount Morris, Pennsylvania. The Californian put together two respectable rides, finishing eighth overall with 9-6 marks. 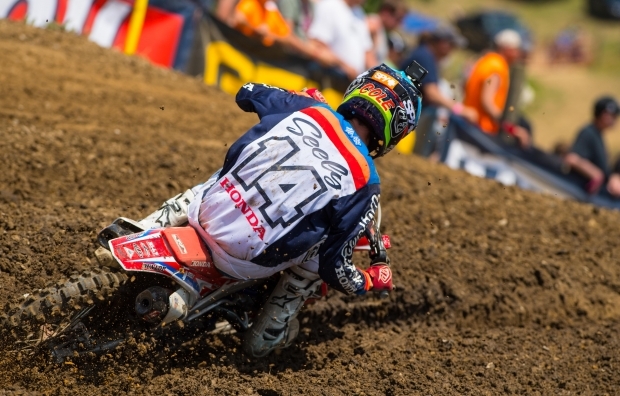 In the day’s first moto, Seely launched his CRF450R to a fifth-place start before taking advantage of two other riders’ mistakes in the opening laps to advance to third. He maintained that position until the halfway point, when he lost a spot. With four laps remaining, Seely fell while in third, relinquishing several positions before ultimately taking the checkered flag in ninth. Following a less-than-desirable start in moto 2, Seely put his head down and quickly worked his way into the top ten on the opening lap. He continued to move forward throughout the 30-minute-plus-two-lap race, crossing the finish line in sixth. 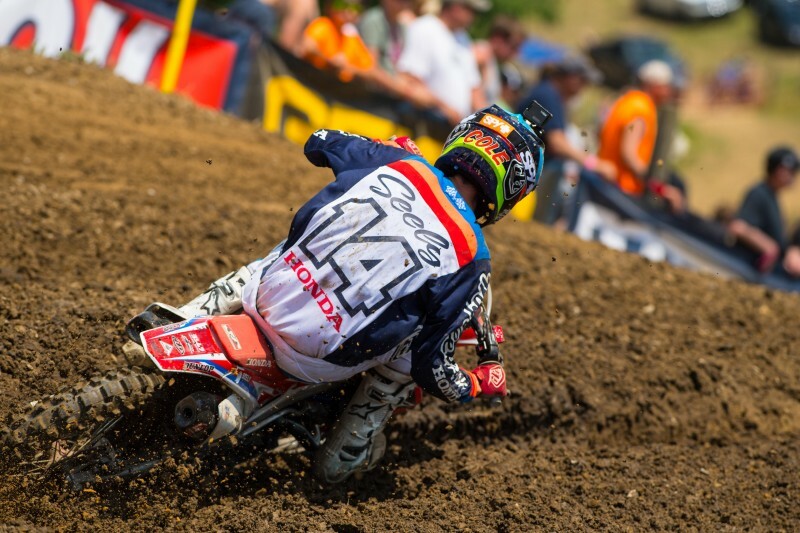 On the Monday before the High Point National, Trey Canard suffered a hard crash while practicing at his Oklahoma track, resulting in a bulging disc in his back that sidelined him for round four. Canard’s condition will be assessed on a week-by-week basis in order to determine when he will return to action. During the morning’s qualifying practice, Cole Seely showed notable speed, scoring the fourth-quickest time with a 2:03.291 lap, while GEICO Honda’s Justin Bogle rounded out the top 10 with 2:05.841. 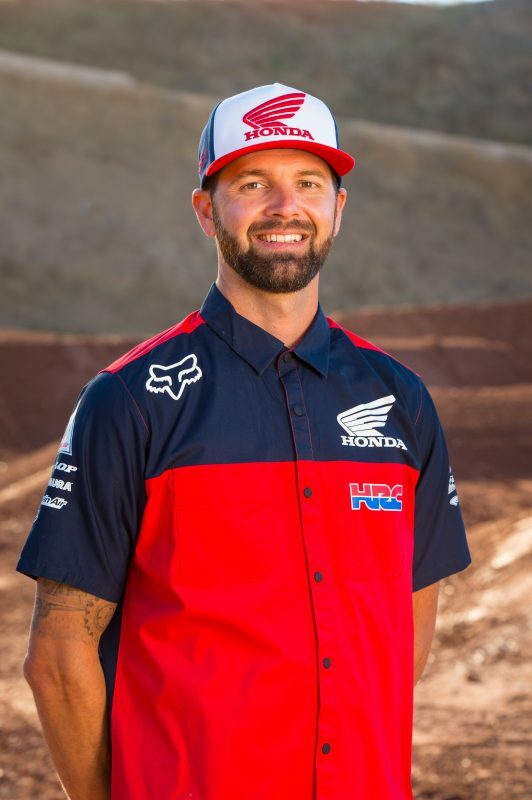 The program for the High Point National differed from the previous three rounds, with the 450MX class scheduled first in both practice and the motos. The Honda Red Riders will return to action on June 25 for round 5 at Muddy Creek Raceway in Blountville, Tennessee. High Point is typically not a great track for me; I’ve just struggled here the past few years, so I’m really happy to have this one finished. I was running really good in the first moto, sitting fourth, but washed out the front end, which sent me back to ninth. At that point in the moto I wasn’t able to put on another charge, so it was a little tough. I got off to kind of a bad start in the second moto; I think I was about 11th, but I was able to make it up to sixth. Overall, today was a bit challenging, but we were able to figure out a few things here and there with the bike setup, so I’m just looking forward to the next one. The positives are that Cole rode well, even though the results may not show it. The track was a little different today, so it was a bit of a struggle on his part and our part to get used to these conditions. He was running good in the first moto before he fell, and it seemed like everything just caught up to him then—almost like it took the wind out of his sails and the bike wasn’t handling the best for him at that moment. We made a pretty big change compared to what we normally do for the second moto, which was better, but I also think he rode better in general, so that helped. Starts were pretty good; his jumps out of the gate were good, and I even thought he had the holeshot in the second moto but he got shuffled back. For a bad day, I think it was still pretty decent.